If you are a gamer, chances are that you play at least one MMO, or massive multiplayer online game. The sense of community that you gain from other players is unlike any other game. These can be soul-sucking or they can be the most fun you have online. Even when we feel the pull of other games calling to us, we always come back to our squad of MMO. For many gamers, that MMO is the free, fantasy roleplaying game RuneScape. RuneScape is one of the longest-running MMOs in existence. First released in 2001, there are now two versions of RuneScape that are playable, thanks to developers Jagex: RuneScape, which is an ever-updating version of the original game, or Old School RuneScape (OSRS), which runs just as the game was when they switched to the new interface in 2007. For players of OSRS, there is now a mobile version that runs on most operating systems, meaning you can take the game with you wherever you go. RuneScape has a checkered history of trolls reviewing it online. Whether positive or negative, it’s time that we all agree that RuneScape is worth playing. The most popular excuse for abandoning MMOs such as RuneScape is the time commitment. Players brag that they spend hours on the game a day, organizing events and dungeons for their friends, and grinding for the best gear. The truth is that you do not need to have hours a day to play! RuneScape is what you make of it! If you don’t want to immediately have the best gear, the most money, and intend to be a casual player, you can play an hour a day and blow off some steam without being left behind by your friends. RuneScape doesn’t require you to be nearly as competitive as other MMOs and have well-defined zones for players based on their levels. You are free to be your own player. 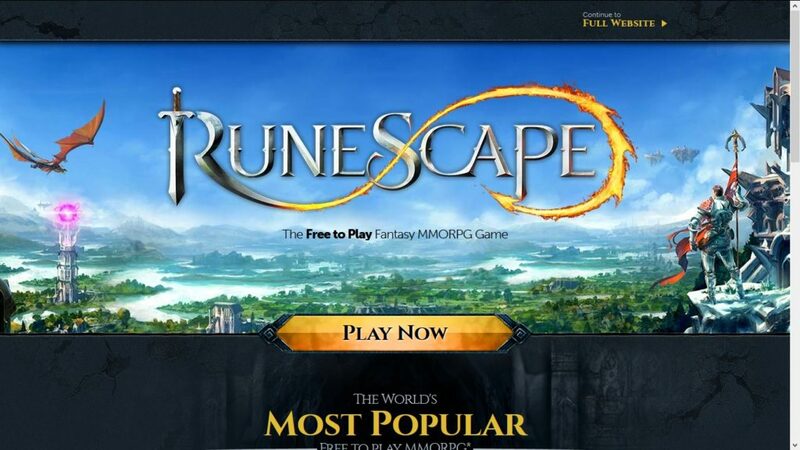 While RuneScape isn’t based on a pay-to-win algorithm, membership options exist for casual players and veteran players who want to get an edge on their gameplay. Members get access to exclusive content and boosts that help you to get ahead. With exclusive quests, world areas, skills and minigames, members can make the best use of their playtime with a more open world. Members are also able to get access to their own house and port, meaning that they have larger customization options than free players. You can also store your equipment, items, furniture, and armor within your own home. Your port allows you to explore the entire land, which helps members to earn more in-game gold. While not necessary, membership makes the best use of your resources if you intend to become a longterm player. Is accessibility a problem with MMOs? With Old School RuneScape’s Mobile release, RuneScape is now portable and works with most operating systems. You can play Old School RuneScape easily with your phone or tablet, meaning that you can kill more time and keep in touch with your online friends. Want to explore while cooking dinner? No problem! In the bathtub? Easy!The chat is extremely accessible,too, and allows you to advertise items for trade or osrs gold for sale while you adventure on your device. If you’re a competitive gamer, RuneScape also offers you the ability to be competitive with PvP and PvE options. Leaderboards keep track of your ranking in skill, achievement, seasonal goals, activities and, also, by ranking clans in the game. You are able to compare your ranking at any time on the leaderboards with the top players. Because it isn’t based on a pay-to-win algorithm, your grind will actually be rewarded in the competitive field.By exercising your grind, you can increase your skill level, your gear, and your clan’s ranking in the game. The game rewards your competitiveness because it is based on the old school algorithm for MMOs, like Warcraft. For all of these reasons, it’s time that we all start taking a second look at RuneScape. This MMO provides us with portability, competitive possibilities, and an understandable gameplay algorithm, allowing players to explore the world without the maximum time commitment that many MMOs require of their players. Whether you are a competitive player or a casual player, this fantasy is worthy of exploration. With the endless possibilities that RuneScape has to offer, now is the time to get back into RuneScape, or explore the world for the first time!